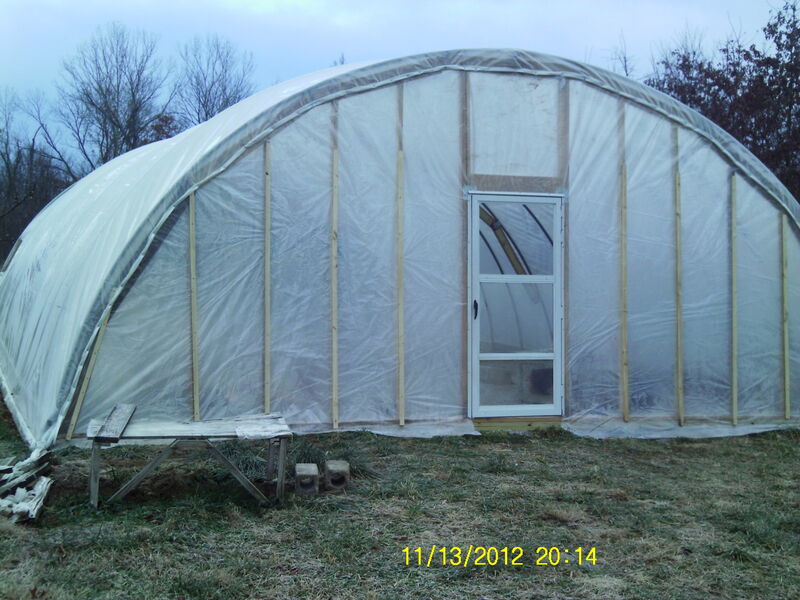 Also, Deanna Greens And Garden Art is using green building materials to build the greenhouse where we produce organically grown vegetables, herbs, and flowers at Boone Hollow Farm in Defiance, Missouri. Being good to the earth! Utilizes less electric, seeking alternative energy sources. What ideas can you share about alternative energy sources? 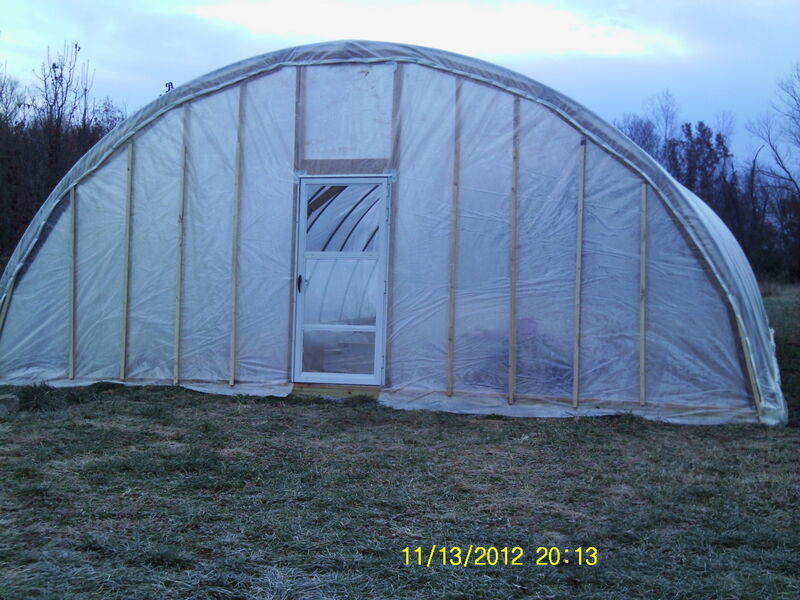 Please refer to my previous blog written 2 days ago which includes recent photos of our green greenhouse. It’s coming along! Here it is, our rebuild of the Deanna Greens And Garden Art greenhouse thus far … We work long hours for our plants’ new home! Blessings come in different forms. Counting my blessings is a mindset when I buried my father less than 3 weeks ago after his 9-month battle with brain cancer. Still grieving. 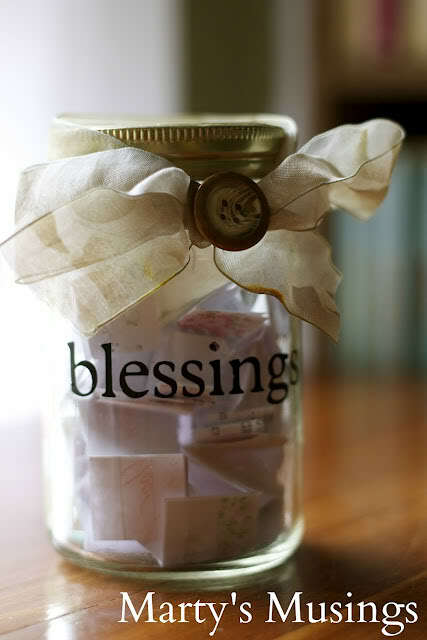 But I came across this website blog about a blessing jar: http://thefrugalgirls.com/2012/11/the-blessing-jar.html. Cute craft idea! The photo below comes from this blog. Reading the blog, it reminds me to recall all the wonderful things that took place this year. It’s been a very difficult year, so I think a bit of a challenge with this blessing search … I will start with my family, my big, big family! To begin my husband, Dean is just want I need. He is multi-talented, jack of all trades. And he is so patient with me, my ideas, my projects, my moods, etc. And on top of that Dean is affectionate and thoughtful. My hubby rubs my stinking feet after a long day working in the greenhouse. And then there is my children … my oldest daughter, Rachel has a smile, kind word, and humor that will turn any sour day into a sweet one! And then my Elisabeth, her beautiful acceptance of this diverse life is such an example to me. She grows more saintly with her patience! Both of my daughters suffer with degenerative disc disease, but continue to bring joy to the people around them despite their pain. My son, Ben has the most tender heart that permeates through this tough world we live in. He held his arm around me during my father’s memorial service. Probably an uncool thing to do in most 19-year old young men’s eyes, but he does not care what others think. My grandchildren, well read about all five in my earlier blog: https://deannagreensandgardenart.wordpress.com/2012/10/04/they-are-mine-alright/. And then there is the extended family. My family grew closer through my father’s terminal illness. My sister traveled 3 trips from the west coast to be at my mother’s and father’s beckon call for months. My two brothers took over the needs of my 97-year old grandfather as my father could no longer take this role. My mother did not give up on my father’s wish to die at home. So she had many endless hours as his nurse, you know, 24/7. My employer was so patient, allowing me time away to run errands for my mother and visit my father. Co-workers and vendors I work closely with, asked how Dad was and I am doing even today. 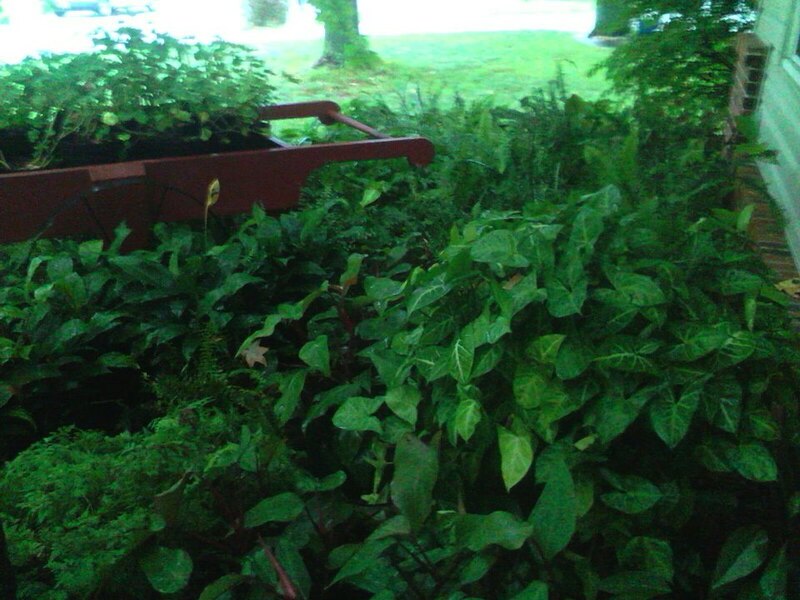 And the solace the greenhouse plants and soil gave me from this tiresome world we live in. So how I can summarize this year is “God is good”. He takes care of us! We are truly blessed! What will you put into your blessing jar? 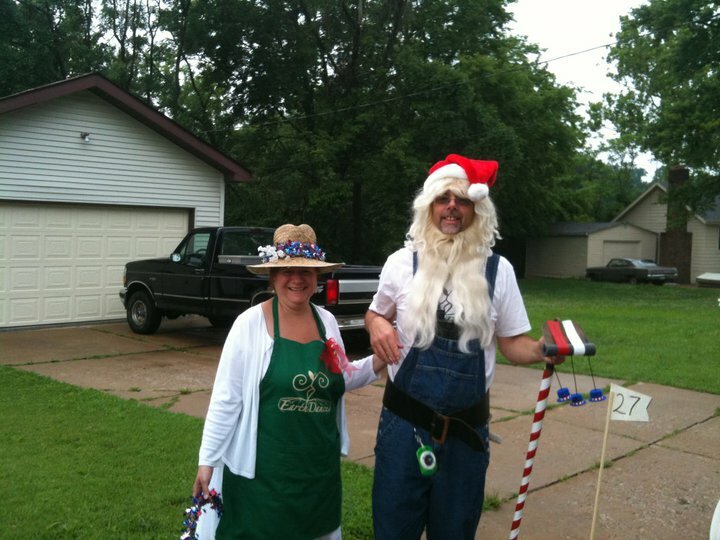 Funny thing about this photo, my Dad’s nickname is Marty. I wonder what musings he is having in heaven today?